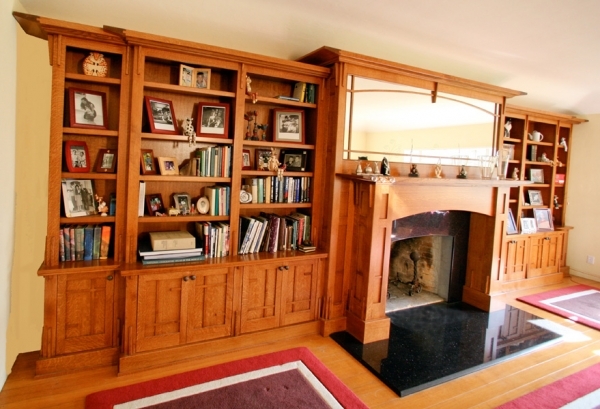 "We met Chad through some friends who had hired him to design a beautiful bookcase and kitchen island.He created a one of a kind bookshelf/mantle in our living room that is a work of art. 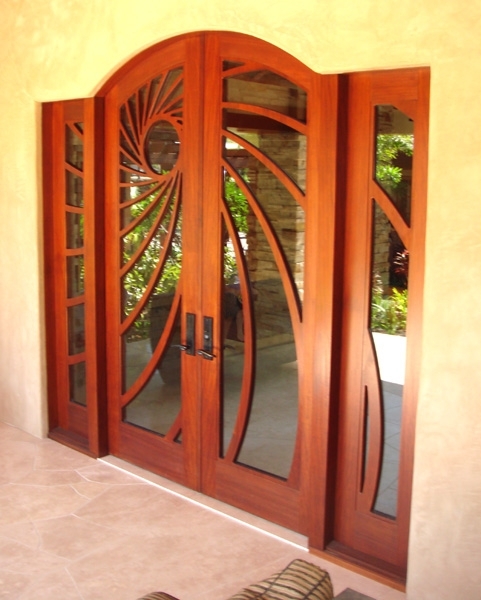 The wood is sensual and beautiful and the perfection of the details is remarkable. It is the first thing people commment on when they walk in the door. Thanks Chad for your incredible work!" "I just wanted you to know that there is not a day that goes by where I don't think my kitchen cabinets are the most gorgeous I've seen. I am dead serious. I absolutely love them!" "If you can imagine it and it’s made of wood, Chad Reitan can build it for you. He can pick up on your thoughts and offer guidance in fulfilling your goals. They do whatever it takes to make you love whatever woodwork you can imagine. 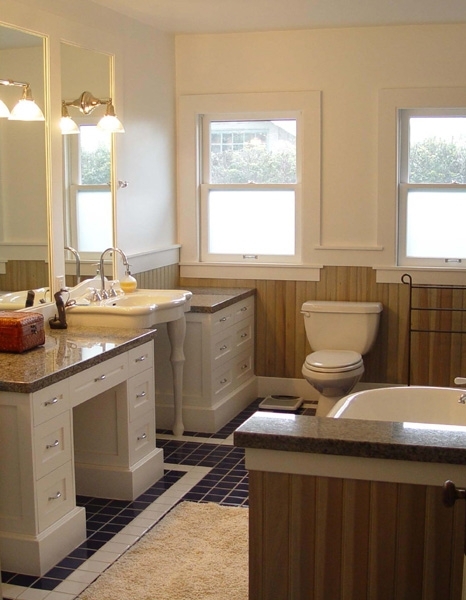 Over the years we have been through many construction and remodeling projects, contractors, subcontractors and suppliers. Chad Reitan is one of the few, if not possibly the only contractor who did what he said he was going to do, when he said he would do it and for the agreed upon price! And, as stated we have been through our share! Chad Reitan has earned our highest recommendations for all aspects of his work. 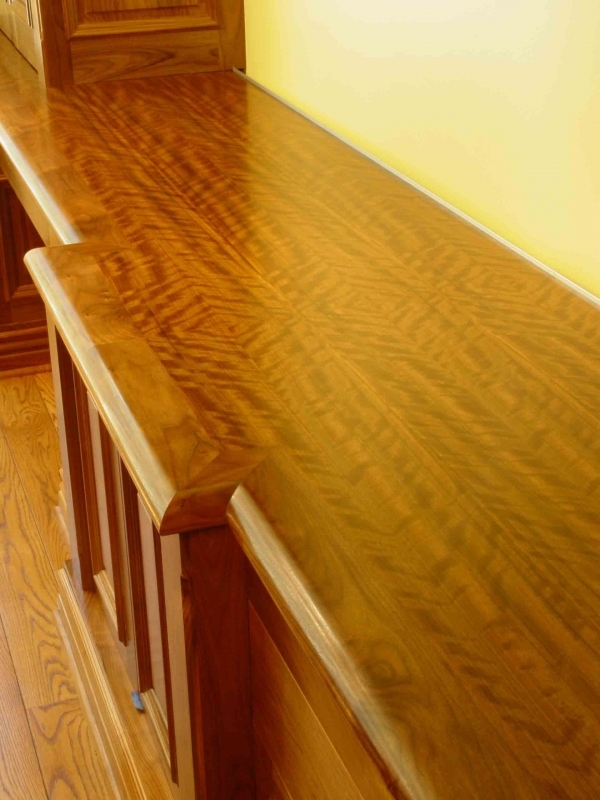 We unhesitatingly recommend him to family, friends and all who desire or have need of custom wood modifications, duplications or creations. 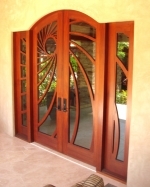 His finish and installation work is impeccable! 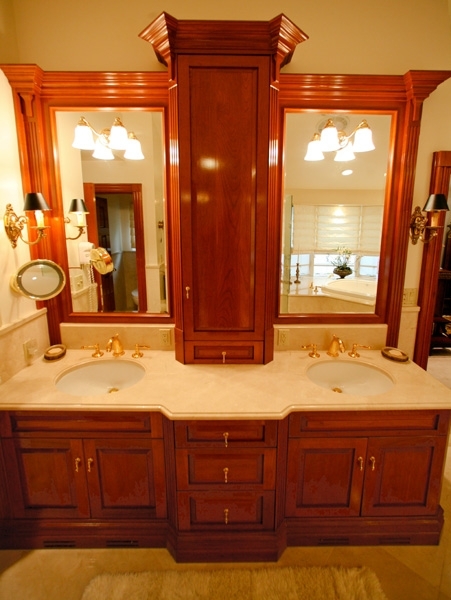 We are delighted and proud to have the substantial amount of work he did in our home displayed on his website." 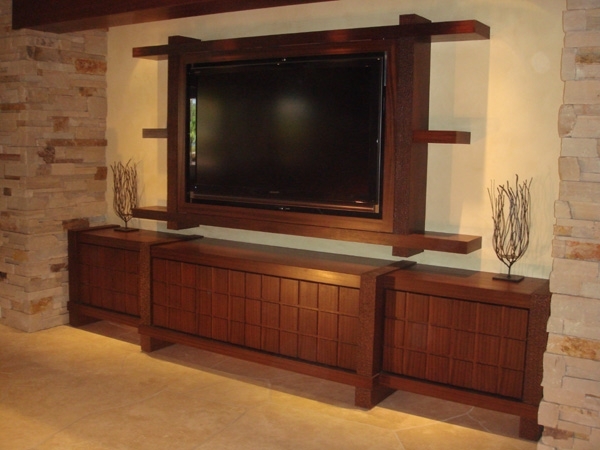 ""Chad made all the cabinets for the extensive remodel of our beach bungalow. Chad not only designed all the cabinets for the kitchen, living room and bathrooms but he added all sorts of ideas to make everything more efficient. Chad even designed a custom pull-out shelf for my industrial mixer! Chad and his team are professional, efficient and a delight to work with!"" 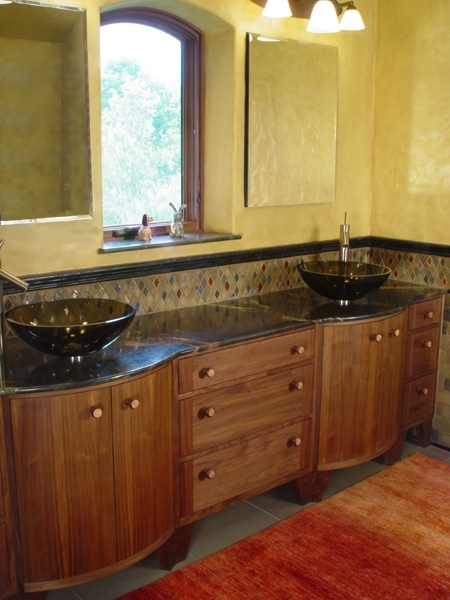 "My husband has worked with Chad and his wonderful crew for many years, but I had the privilege of working with both Chad and Gene to remodel my master bedroom and bathroom. 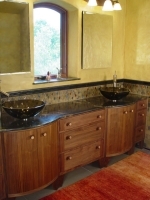 The job was a complicated custom job with curved bathroom cabinet doors, a walnut custom closet and a large built in walnut wall behind the bed that connected with an oversized chest of drawers on one side and a cabinet on the other. The quality turned out great and Chad’s design ideas were more than welcome. It was a pleasure working with his crew and especially with Gene! I could not be more proud of the end result of my master bedroom, and this is in great part due to Chad and his crew, their ideas and commitment to quality." 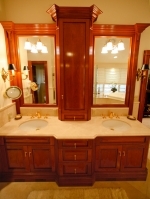 "I must say that I had the honor of working with Chad on a large complicated cabinetry/casework project. The qualities that Chad brings to bear on a project are of the highest quality-communication, design feedback, and pricing/quality. I worked with Chad nearly 6 years ago and his work and he has an ability to take our design work and push it even higher. Chad's approach and quality I still use today in comparing other projects, his work has set a benchmark in my mind." "10 years ago, Chad agreed to build us some office shelves. 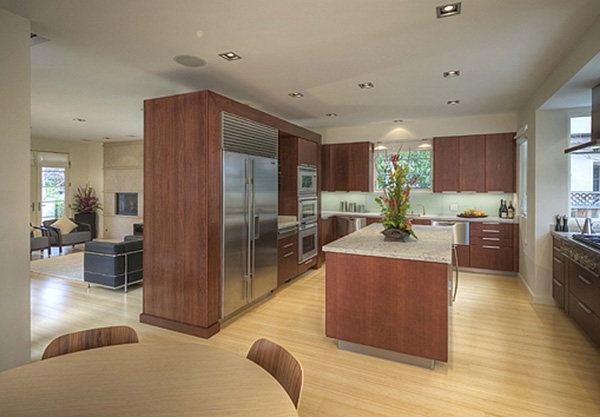 "We had a large, complicated cabinet with inset glass that we needed to construct to match a kitchen design with Poggenpohl cabinets. A drawing was faxed to Chad and he quickly understood the requirements. At our site meeting he was able to clearly explain the process of fabricating the cabinet with cherry panels that were hung on clips to a wall structure. The job was scheduled and Chad’s crew came in and did a wonderful job with all the details of book-matched grains, stepped corner reveals, mitered face frames, and framed openings. 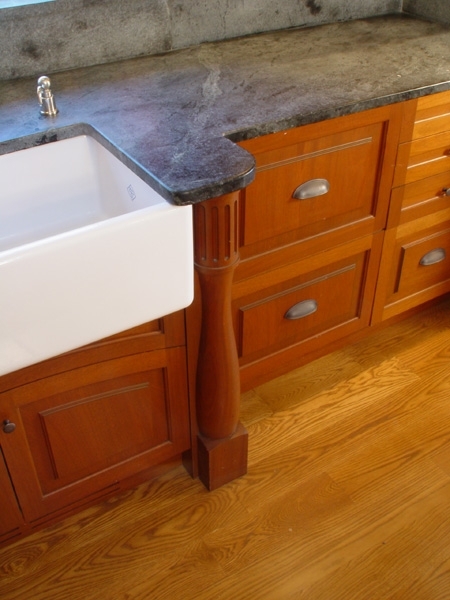 Once the cabinet was stained and finished, it looked better than the Poggenpohl cabinets! Thank you Chad for a job well-done! Our clients are thrilled with the results!" "Chad Reitan and his crew are a pleasure to work with. Professional, friendly and very good at what they do. Their products are beautiful." 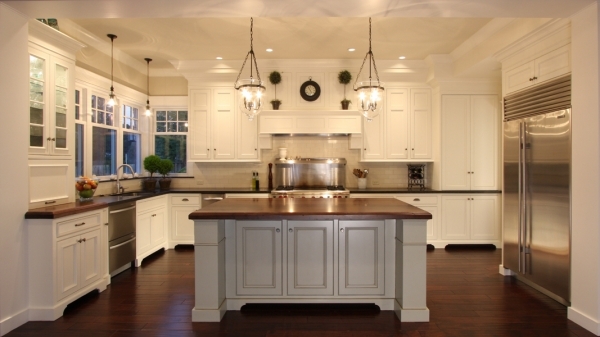 the great room piece and the kitchen islands are works of art." 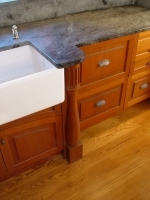 "I have known Chad since about 1995 when I asked the installer of our wood stove who would construct a nice mantel. He thought for a moment and said if you can get that kid Chad Reitan he can do a beautiful job. 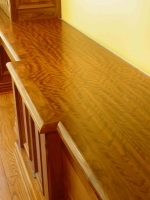 I wanted Brazilian rose wood, and Chad quickly made a beautiful mantel. To all of our surprise the front of the stove got really hot. Chad immediately removed his mantel and said I don't like to come back and have to fix things. I always would, but... He returned 2 days later with an even more beautiful mantle which was more structurally sound and has never needed re-working. About a year later we were remodeling our house and asked "if he did decks?" He came back the next day with a beautifully designed deck which was brilliantly engineered as well. We moved ahead with the project and even had him put in a huge sliding glass door system and a cathedral ceiling and skylight in our master bedroom. He brought everything up to code and as a last stroke of genius suggested we stucco the house which was perfect. His crew always cleaned up and and didn't smoke. He was psychologically attuned to the mental strain of living in a remodel as well when he told us just the right time to move out for 2 weeks. I have seen a lot of Chads work and photos of much more. He is truly an artist and is delightful to work with as well. 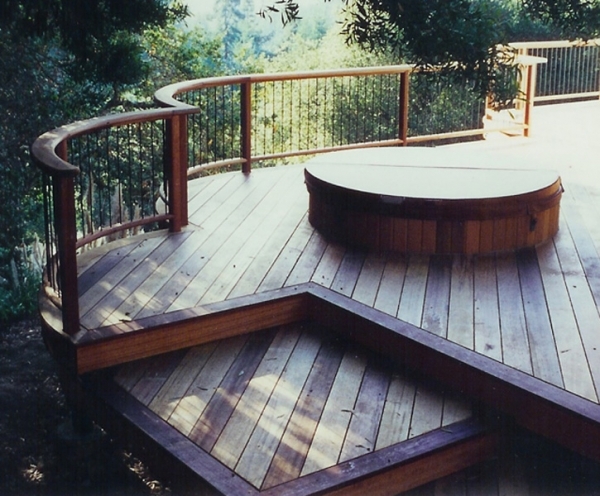 He is without doubt the best contractor and woodworker I have ever met." "Chad, I must express our sincere thanks to you and your team - absolutely fantastic! Your crew is so professional and skilled - thank you for taking such good care of us. I look forward to hearing from you soon, cheers."